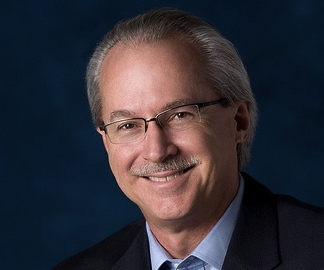 Steve Terrell, President and Founder of Aspire Consulting, is a leadership development consultant with 30 years of experience in improving organizational and human performance. Through his varied experiences, he has developed deep and broad capabilities in a wide range of executive/leadership development approaches, in a variety of organizations, as both an internal and external consultant. Steve works with clients to build leadership capabilities; design, develop, and implement management/leadership curricula; and advise executive/leadership development professionals on the development of leadership development strategy, curriculum, and programs. He is a trusted practitioner with deep knowledge of global leadership development, having earned his doctorate studying how global leaders develop. Steve’s career has progressed through the Virginia Department of Corrections, Bank of America, Andersen Consulting, Dove Consulting, and Executive Development Associates. He founded Aspire Consulting in 2002 with the mission of helping organizations turn their vision into reality. His work has taken him throughout the United States, and to the United Kingdom, Germany, France, Australia, and Singapore. Steve received his BA in Music Composition and his MSEd in Education (Counseling) from Old Dominion University, and his doctorate in Human Resource Development from The George Washington University. He is an adjunct faculty member at Old Dominion University.